The fourth week of the season has come and gone with not much change in the weather for the first 3 days of the week. 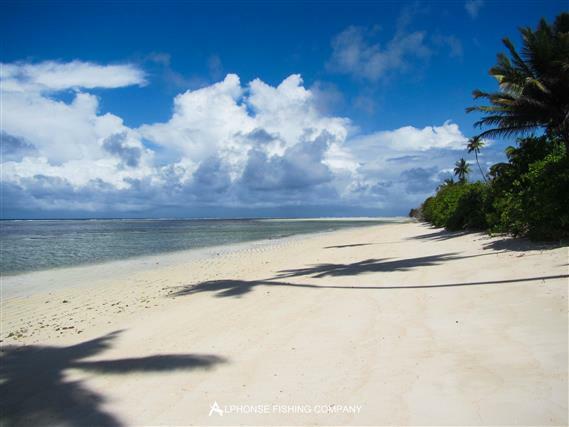 The South-Easter would not let up as a low pressure cell covered the entire Southern part of the Seychelles. 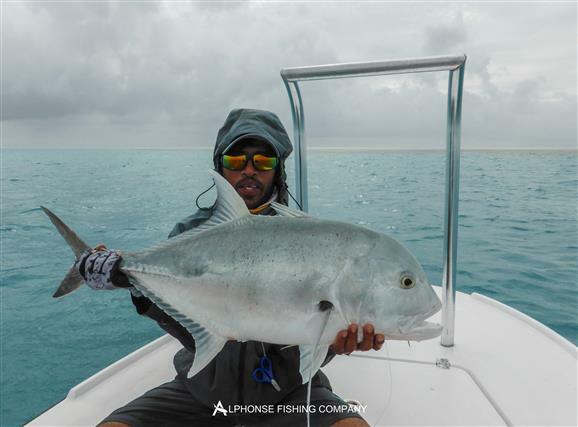 The fishing however ended up with some spectacular achievements even after a slow start to the week. 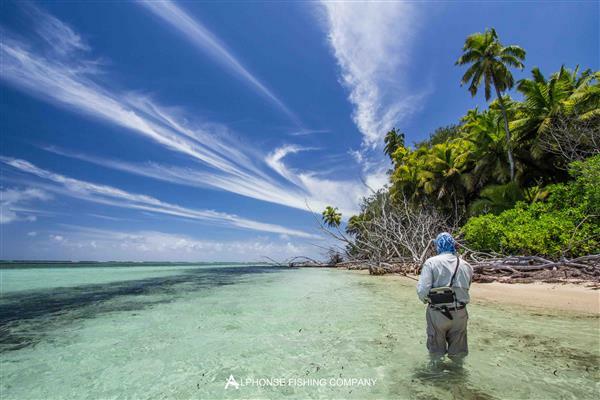 A coupe days went by, with guest enjoying the bone fishing that St Francois had to offer, numerous guests joined the 20 plus bonefish club while enjoying shots at all the other species that this magnificent atoll has to offer. 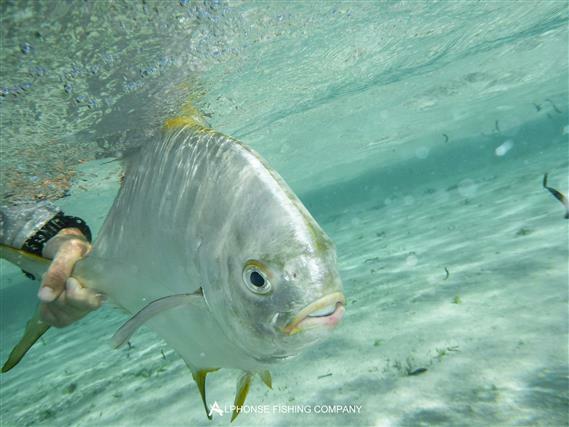 In the first three days only one GT fell prey to Peter Tandy’s fast stripped NYAP, but as the weather changed the fish Gods started to smile. A beautiful sunrise greeted the guides on Wednesday as they prepped for the crossing to St Francois. 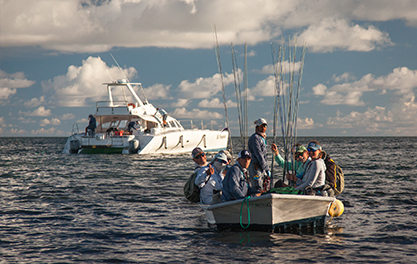 Spirits were high as everyone looked forward to an awesome weather day out on the water. 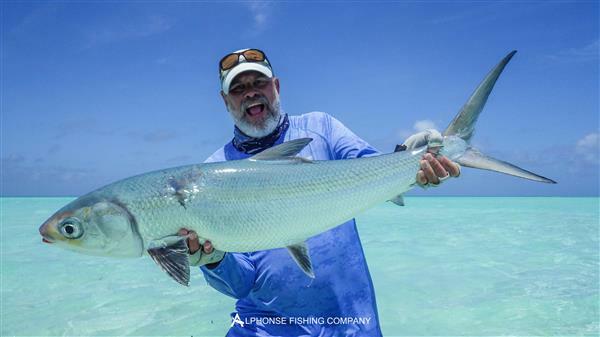 Glynn Locke was the first to be impressed as he landed a trophy barracuda estimated at 35lbs, on a fly and without wire. 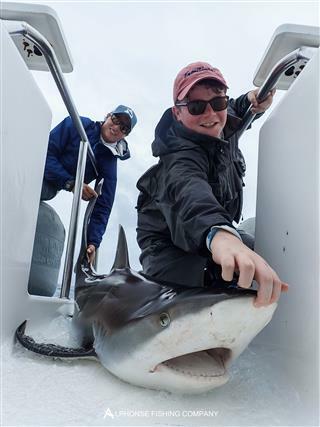 In the afternoon he transferred onto the blue water boat, proceeded to hook three sailfish, landing two, making it a double “Bills and Bones” session. 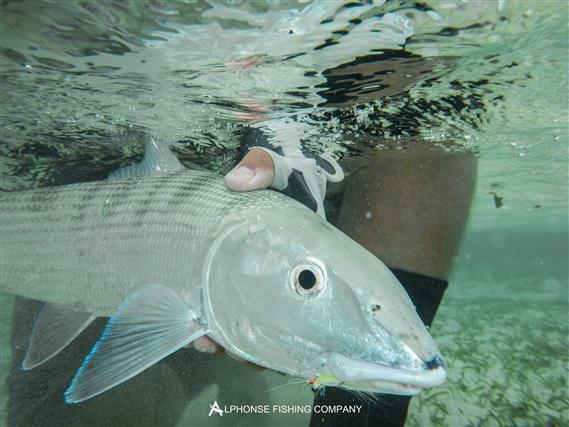 The action continued on the flats with 232 bonefish landed, numerous anglers joining the 20 plus bonefish club and plenty of shots at GT’s and permit. 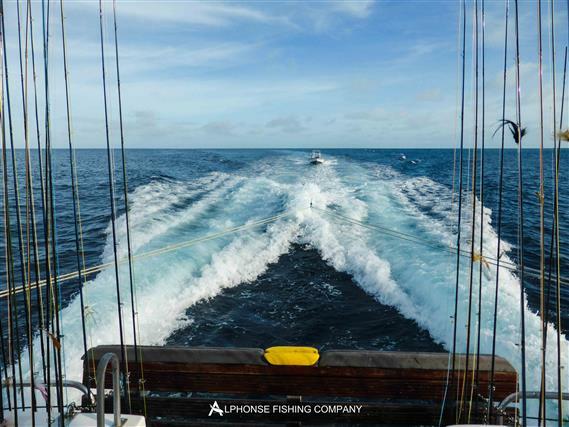 As the good light carried onto Thursday so did the fishing, father and son Bob and Bob Davidson went out on the blue water boat to try their hand at a sailfish on fly. 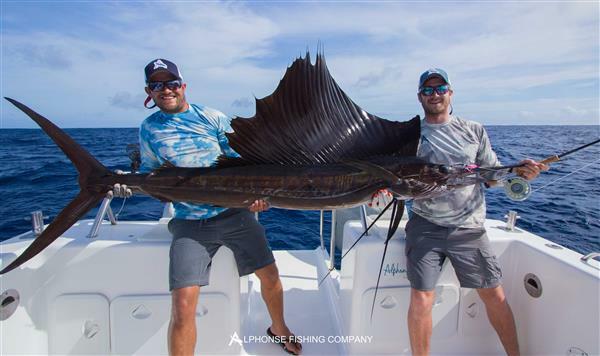 Bob Jnr accomplished this feat, with his first sailfish on fly topped off with a bonefish in the afternoon, making another “Bills and Bones” slam, marking the 5 sailfish of the week. 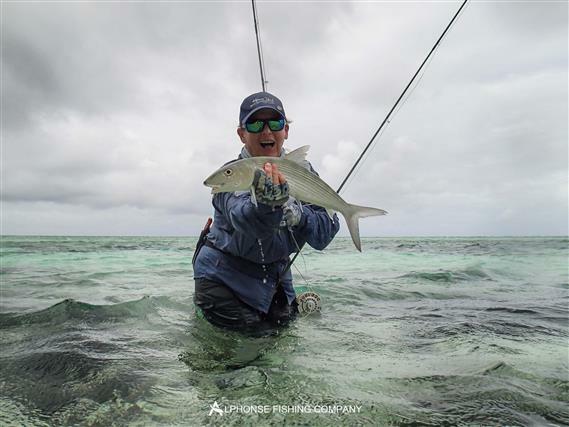 The last day of the week couldn’t end any better fashion when Chris Bamford ended off with a milkfish caught on the flats, a beautiful Yellowmargin triggerfish and over 20 bonefish to make it a remarkable “Flats Grand Slam”. 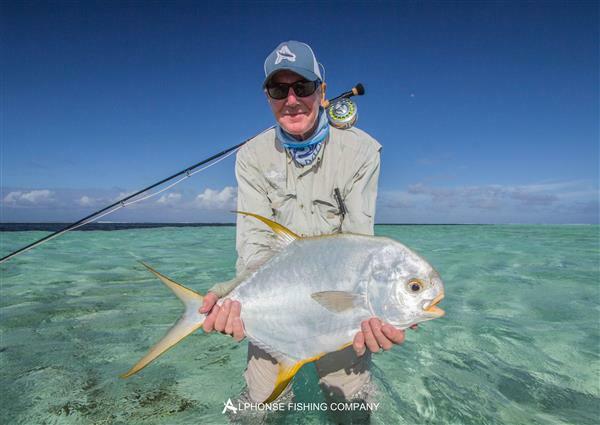 Glynn also finished in style with an incredible Indo-Pacific permit. What a week full of fantastic results all enjoyed amongst some amazing friends.